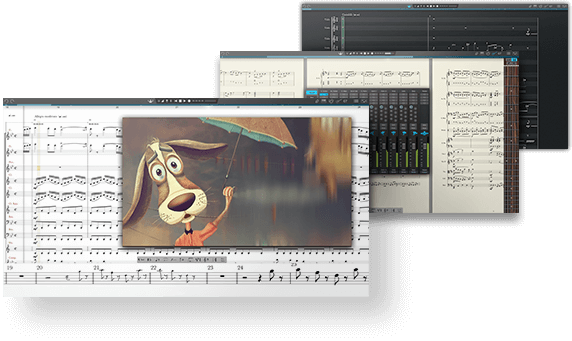 Whether you are an instrumentalist, songwriter, composer, arranger, music educator, or student, you’ll find Notion 6 to be the easiest-to-use and best-sounding notation software on the market today. 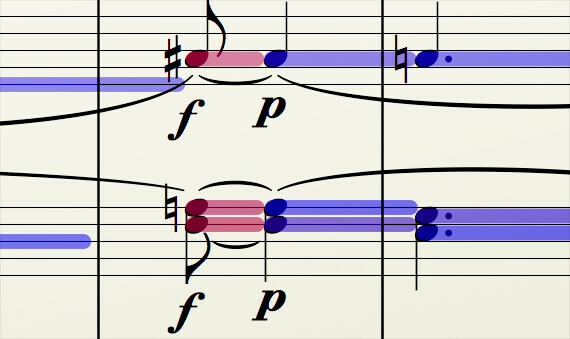 Notion 6: Redefining music notation. See the complete list of Notion 6’s new features and enhancements. Notion gives you by far the best playback of any notation product out of the box, including the unmatched realism of orchestral and Steinway samples recorded by the London Symphony Orchestra at the legendary Abbey Road Studios, guitar samples performed by Neil Zaza, bass samples by Victor Wooten, and drum samples by Roy “Futureman” Wooten. All were painstakingly recorded by top engineers using the best equipment. 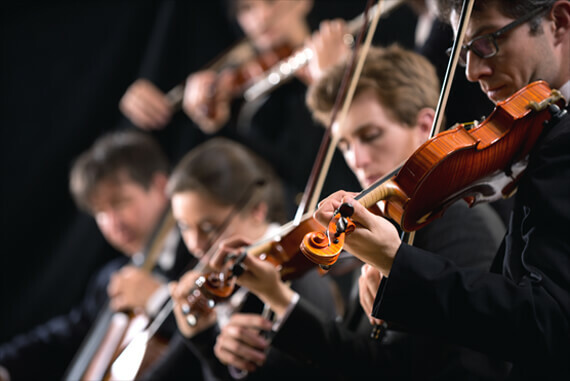 You get a wide array of dynamics, articulations, and performance techniques. New instruments in version 6 include the Notion Harpsichord along with the Lakeside Pipe Organ and Olympus Micro Choir sounds from our friends at Soundiron. But that’s just the beginning of Notion’s playback features. Learn more about Notion’s world-class playback. The best sounds. The best playback features. Although Notion comes with a generous sound library, you are by no means limited to the included sounds. 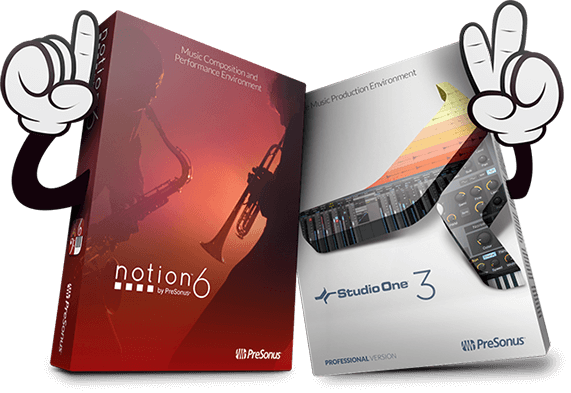 Buy high-quality, yet inexpensive new Notion Add-on instrument packs from the ever-growing library at the PreSonus Marketplace. Use your favorite VST instruments and libraries, too; they work great with Notion. Notion ships with several rules templates for other orchestral VST libraries, so when you load an instrument for Vienna Symphonic Library Special Edition, you can quickly and easily write dynamics, effects, and instrumental techniques into the score without ever having to see the VSL interface or programming key switches. To make your own rules, use the Notion Rules Editor: Simply click and select from drop-down menus to create custom rules for any VST library, without having to edit XML files. Mix sounds from libraries and experiment with combinations without concern about syntax errors. Before you know it, Notion will become your default playback software of choice! 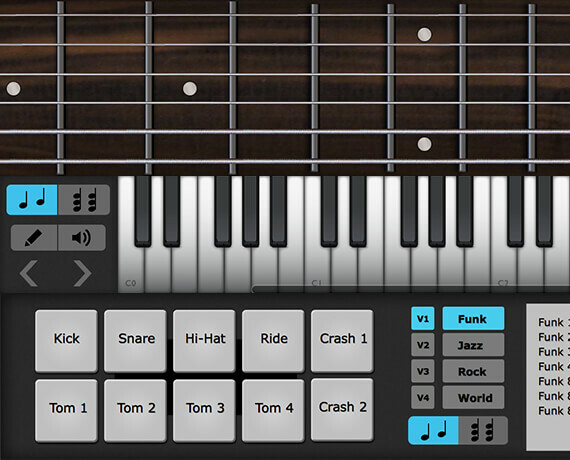 Enter notes with ease using Notion 6’s interactive fretboard, keyboard, and drum pad. It’s the fastest and most convenient way to capture pitches, drum parts, and guitar fingerings. You can even customize the number of guitar strings on the fretboard and the order of entry for each voice for the drum pad. Lyrics can be entered in directly or pasted from any digital source. Want to get your hands on your score? Notion 6’s new Powered by MyScript™ handwriting-recognition feature for Mac, Windows, and iOS lets you write directly into the score, automatically converting your input into digital notation. Choose chords from a generous chord library and create your own chords. It’s simple to enter the chord name or voicing you want to appear in your score. Choose from standard chord symbols and fretted chord symbols and design custom chord symbols and diagrams. Chords remain on the fretboard for repeated entry, and the software can recall recently used chords. Chord symbols can be attached anywhere over empty measures, meaning lead sheets can be created in no time! Learn more about Notion’s handwriting entry features. Notion 6’s new Powered by MyScript handwriting recognition feature for Mac, Windows, and iOS lets you write in notes, rests, accidentals, time signatures, and more, automatically converting your input into digital notation. You don’t have to learn custom gestures or specialized software features, nor must you “teach” the software to recognize your writing; simply write music the way you normally do with a paper score. You can toggle handwriting on and off to write directly into the score area. If you have a large score and don’t want to keep zooming in and out, simply open the optional handwriting window. Use MIDI and step-time entry in the main window and handwriting in the optional window for the best of all worlds. If you don’t have a touchscreen, use a Lightning cable to connect an iOS device to your Mac or Windows computer and use the iOS device as a graphics tablet, enabled by Duet Display software. Or go with a real graphics tablet, such as a Wacom Intuos® or equivalent. In the classroom, use an interactive whiteboard to draw symbols that quickly convert to digital notation. Don’t just play your music: perform it, too. Notion lets you play back a score following metronome marks, but you can also perform your scores live, continuously controlling tempo and velocity. Jump in and out of repeats, vamp measures, fade in and out, and navigate live from your computer keyboard or a MIDI controller. To top it off, Notion 6 comes with the Notion Score Library, a collection of public domain scores in the Notion format. Learn about the Notion Score Library. Learn more about Notion’s compatibility. 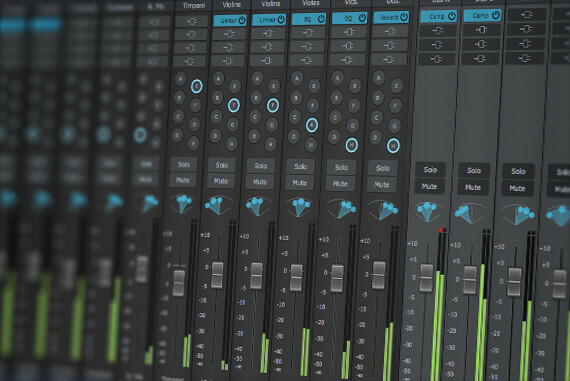 For a potent, yet easy-to-use combination, take advantage of Notion 6’s tight integration with Studio One. Compose in Studio One and send note data to Notion for editing and printing parts. Enjoy Notion’s superior playback sounds, notation capabilities, and video scoring features in combination with Studio One’s in-depth editing, processing, and (with Studio One Professional) integrated Melodyne, mastering, and digital release features. Export the audio or note data for each track and import it into a copy of Notion 6 running anywhere on the network. Better yet, Notion 6 can look for instances of Studio One anywhere on your network, automatically open a new project, and send the audio files or note data, track data, and score data straight to the DAW, retaining instrument name, score order, pan and gain settings, rehearsal marks, initial time signature, and metronome marks. Want to transcribe in Notion and have a reference track? Or perhaps you’d like to add audio effects for triggering during a Notion live performance. With Notion 6, you can send audio from Studio One to any instance of Notion on your network or on the same machine, setting up a new score and attaching the audio to it. Notion supports audio and MIDI over ReWire as a host and slave in 64-bit or 32-bit mode. 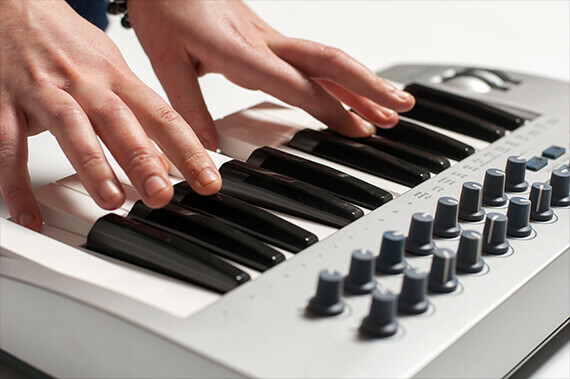 During playback, with Notion as the host, you have full access to Notion’s playback and performance features using the computer keyboard or MIDI keyboard. As the stereo stream from the slave application arrives at Bus A in the mixer, you can alter gain, panning, effects, and so on, just like any other instrument. Send multiple MIDI tracks and buses from Notion to any ReWire-equipped application and drive your instruments directly from notation, including articulations. When Notion is acting as the slave application it follows the commands of a host application. Notion can send up to 32 streams to the host application, start and stop playback, and audition new notes. In fact, you may even forget that Notion is in slave mode until the host begins a playback operation. Deliver professional scores and polished performances. While many Notion layout and notation choices are made automatically so you can focus on creating music, sometimes you need to fine-tune your score’s appearance for easy reading and a professional look. Notion 6 provides new layout handles that let you drag notes, measure lines, time signatures, and more, while avoiding accidental respacing. Show and hide parts independently by system and show/hide resting staves for minimal wasted space and maximum readability. Even drag entire systems up and down on the page to adjust the spacing; when you let go, Notion rejustifies the layout. When it’s time to deliver, Notion has you covered. Print stunning scores and export PDFs. Export standard MIDI files or MusicXML files for collaborating with people using other notation applications. And deliver fully mixed WAV files or MP3s of your entire performance or individual parts. You can even upload directly to SoundCloud® directly from Notion to share your compositions. Score a copy of Notion 6! 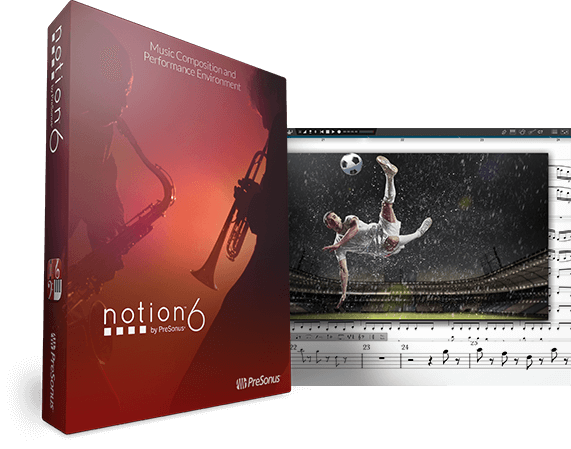 By now, you should have the notion that PreSonus Notion 6 is a fast, modern, efficient, easy-to-use, great-sounding notation program. Buy it today from a nearby PreSonus dealer or visit shop.presonus.com to get your copy. Notion is available in U.S. and British English, French, German, Italian, Japanese, simplified Chinese, Korean, and Latin American Spanish. An excellent notation program for newbies, teachers and experienced musicians alike. Notion is a far superior choice of notation software for education. Notion is probably the most intuitive and uncluttered notation package I've ever used. ... a full-blown, unlimited, and friendly musical notation editor at an entry-level price. This is an essential upgrade that all current users will want. It places Notion squarely among the ranks of true professional programs, yet it remains the easiest program to learn and use. 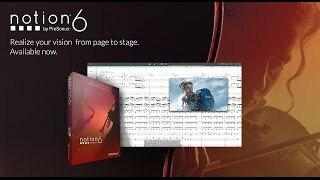 From sounds of the London Symphony Orchestra to stellar Steinway piano samples to the sounds of virtuoso bassist, Victor Wooten, playback quality of Notion 6 alone makes this software worth the investment and a whole lot more.